Marked with the serenity of River Daya in the Odisha State of Indian Subcontinent, lies the place called Dhauligiri. 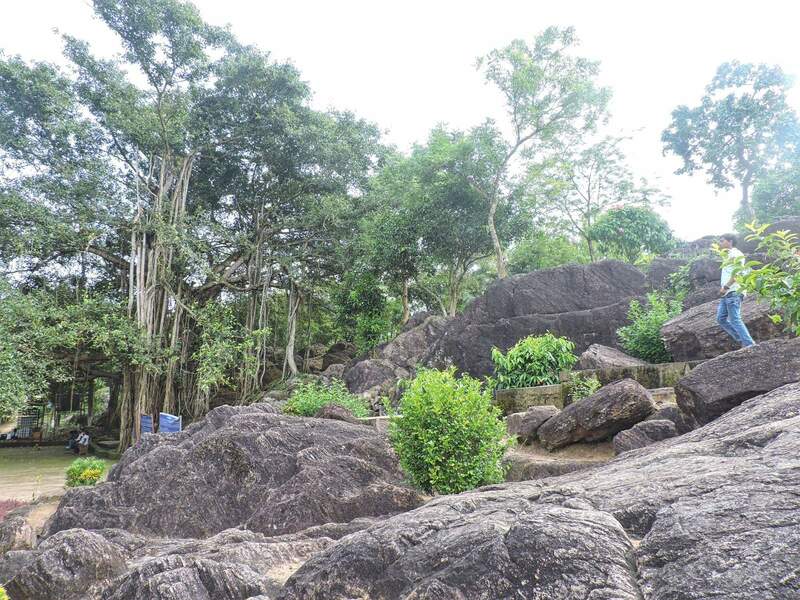 It is a historical place at a throwaway distance of only 8 kms from the state’s capital city of Bhubaneshwar. 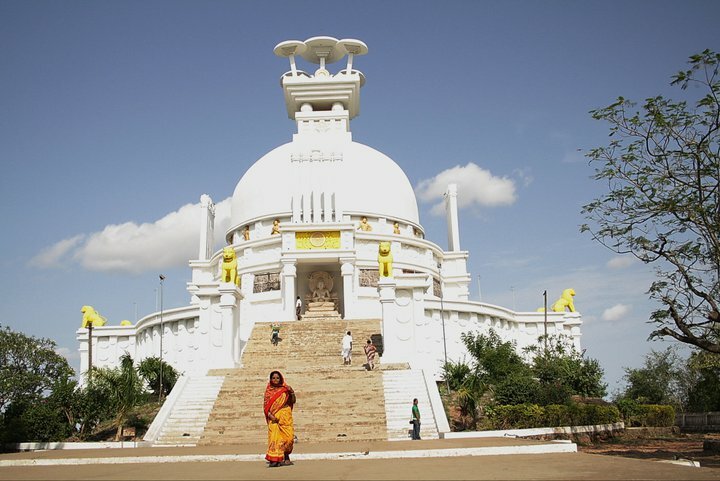 Known for its Shanti Stupa (or Peace Pagoda) and beautiful countryside view, it is a must visit places of visit in the state of Odisha. 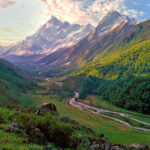 This small town of Dauli has a long and rather violent history that is associated with a very important event in the annals of the ancient history and for whole of India. 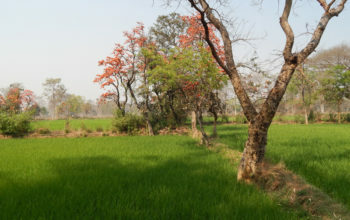 It is because at this place in the year of 262 BC, one of the largest and the bloodiest battles in India’s history, namely Kalinga War was fought between the Mauryan Army led by King Ashoka and the then Princely state of Kalinga kingdom. Ironically this war was the only major war that the King Ashoka, the great fought with any other kingdom after his accession to the throne. 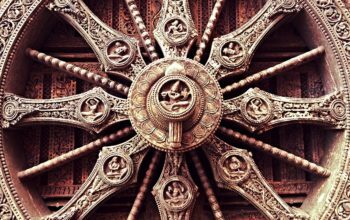 The state of Kalinga at that period of time was the last major and the most strongest kingdom of its time that owing to its Naval supremacy and million strong Army. It defied for too long to accede to the demand by Mauryan Kingdom to unify. 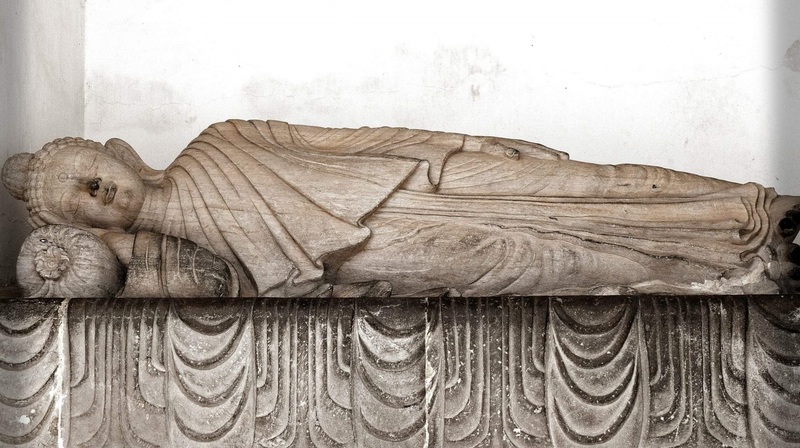 Thus resulting a major war breaking out between the two kingdom at this very site of Dhauli. It is said that this war had a major impact on Ashoka’s life where he witnessed deaths of around 100,000 soldiers and some millions of war animals. The gory sight of the killing, tremendous sufferings and its consequences of the savagery, shattered the soul of Ashoka and changed his views on the whole purpose of war. It lead him to pledge, to never again wage a war of conquest against any kingdom and he adopted Buddhism. He thus set himself in the path of Ahimsha(non violence) and Dharma Vijaya(victory by Dharma). It was under blessing from many enlightened buddhist monks, he set out to build many Buddhist Stupas and sent emissaries to world around. 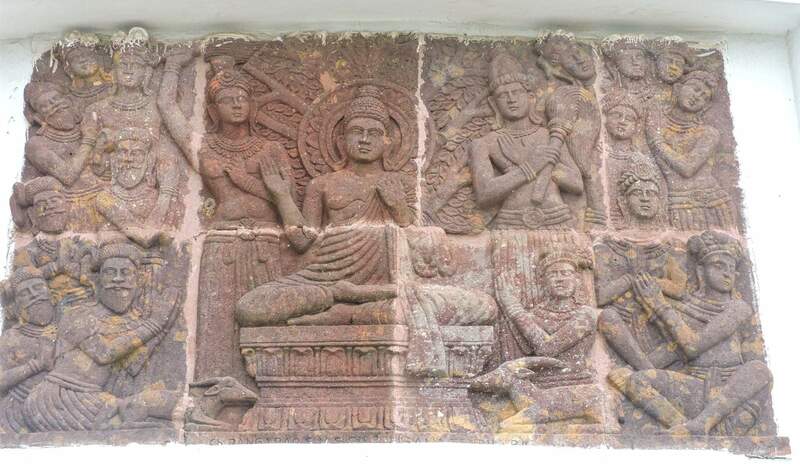 Ashoka also built many rock edicts to preach Ahimsha and spreading the holy teachings of Gautam Buddha. 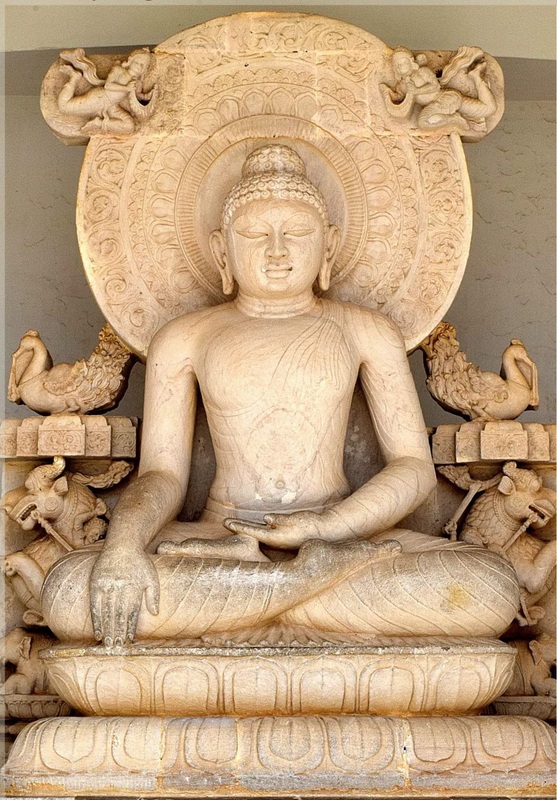 In coming years peace prevailed and the site of Dhauli became an important centre of Buddhist activities. 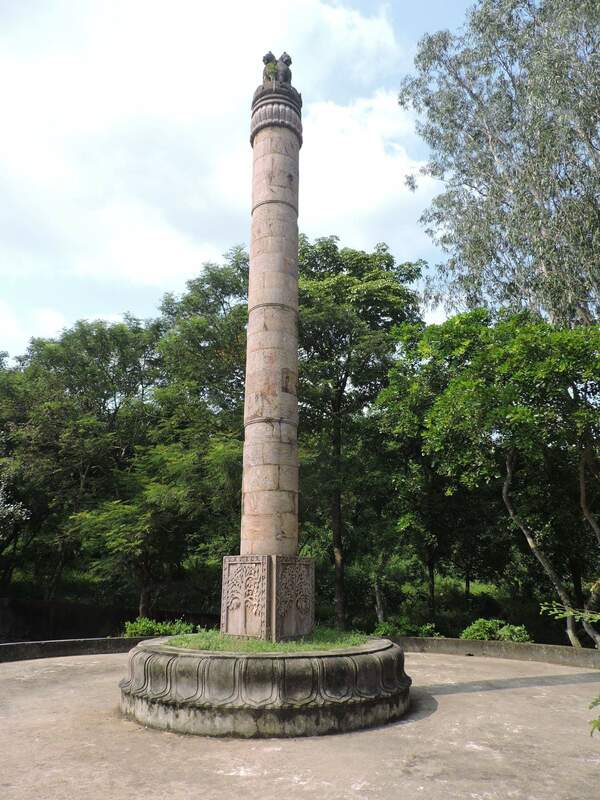 Ashoka built several chaityas, stupas and pillars here and aided the foundation of Dhauligiri Shanti Stupa. Among the many edicts found, the edict of Lord Buddha is the most visited site by numerous Buddhist devotees and tourists alike. He built may houses for the recluse, inscribed instructions for all officials to expound the main principles of dandaniti (or strict enforcement of laws) for the public. 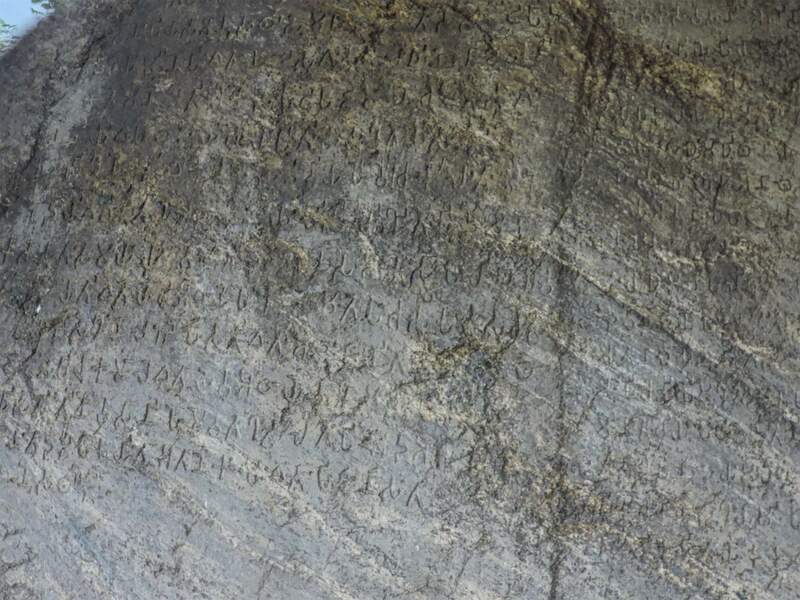 The Dhauli edicts were written in the Prakrit language using the Brahmi script. It is here that Emperor Ashoka the great declared his doctrine of paternalism, accepting all men in his kongdom as his children and urging his administrators at Toshali to concentrate working for the welfare of the people of Kalinga. 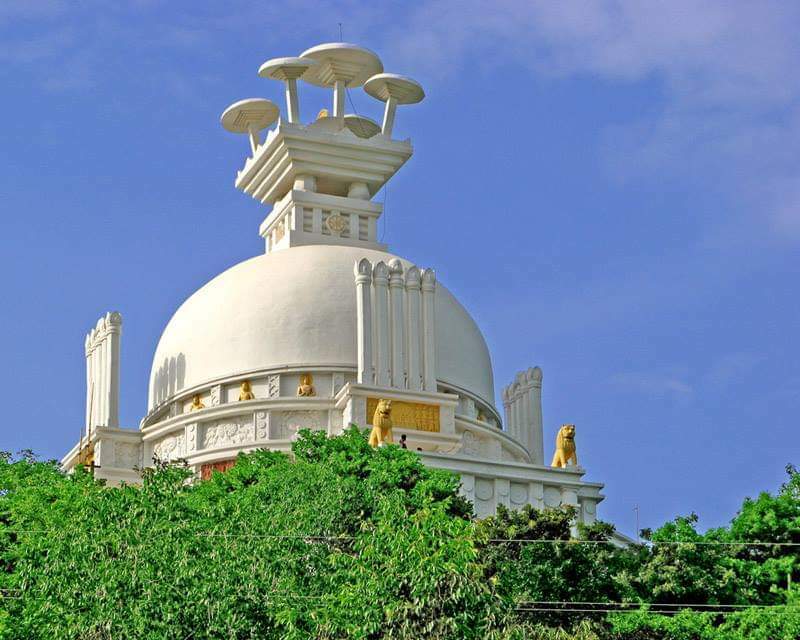 The present day dome structure of Vishwa Shanti Stupa or Peace Pagoda on the top of Dhauli Hills or Dhauligiri was built jointly in 1972 by the Japan Buddha Sangh and the Kalinga Nippon Buddha Sangh. The Shanti Stupa possesses five umbrellas that symbolizes the five essential parts of Buddhism – which are refraining from : harming living things, taking what is not given, sexual misconduct, lying or gossip and taking intoxicating substances eg drugs or drink. 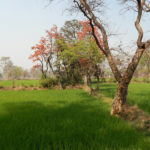 One can also spot a number of chaityas and stupas, as well as some of the many pillars whose foundation is said to have been laid by King Ashoka himself. There also exist a number of edicts that displays King Ashoka’s intention to promote joy, peace and contentment all throughout the world. 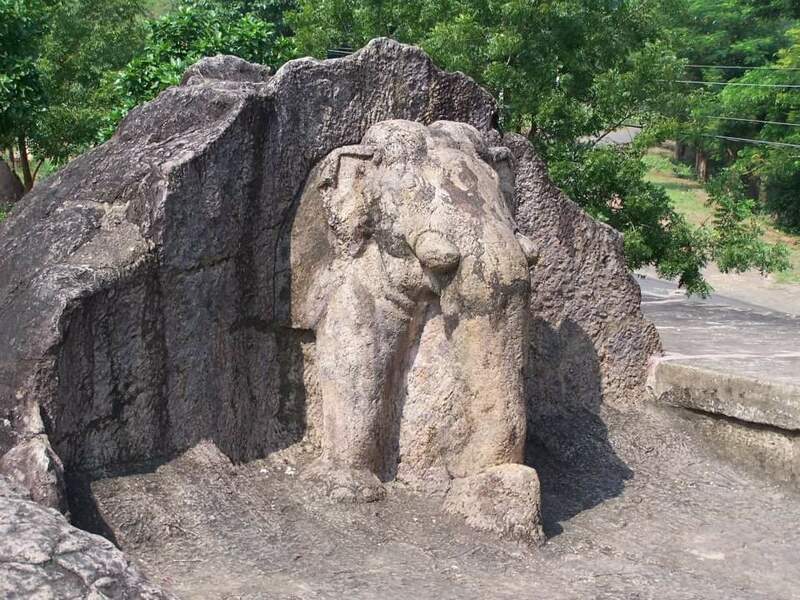 And over the edicts, you can come across a half bust of rock cut elephant that is considered to be the earliest Buddhist sculpture in Odisha state. 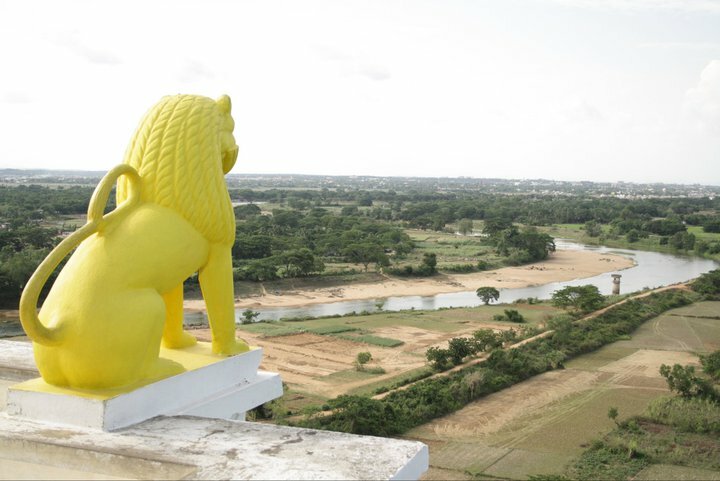 On the top of the Dhauli hill you can also get an excellent view of the plains of the Daya river where the Kalinga war was fought from the top of the Dhauli Hill. A lot of ‘speaking’ stone panels adorn the peace pagoda. 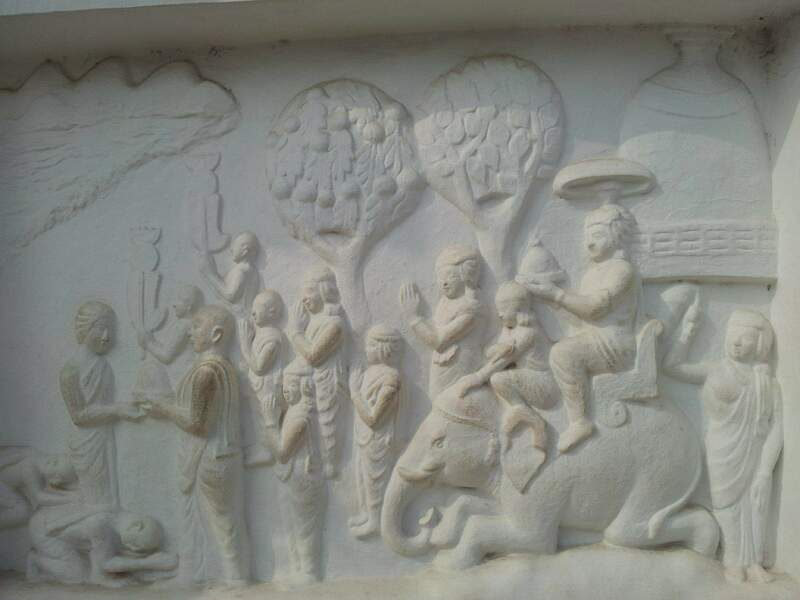 These includes the reclining Buddha, an the Bodhi tree, footprints of Buddha bearing the chakra (wheel), elephant procession, a sleeping beauty fanned by female attendants, a scene of a procession on horse back and a scene of Emperor Ashoka renouncing war by offering his sword to Lord Buddha. At a short distance from the Shanti Stupa, you can also visit the Dhavaleshwar temple which is widely frequented for its reverence by Hindu as well as Buddhist devotees. The Dhauligiri hills also has an ancient Shiva temple which is the place for mass gathering during Shiva Ratri Celebrations. So while planning for a tour visit to Puri or Konark do make it a point to visit Dhauligiri on ways and explore the many Buddhist attractions in Odisha. 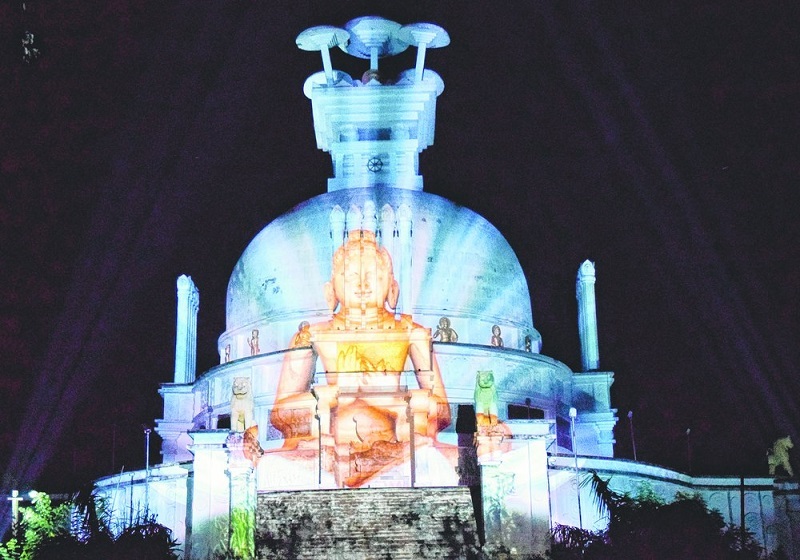 The Odisha tourism board also organizes a light and sound show on the Shanti Stupa. The show timings are 7:00 PM to 7:35 PM and then from 7:45 PM to 8:20 PM. There are no shows timings on Monday. 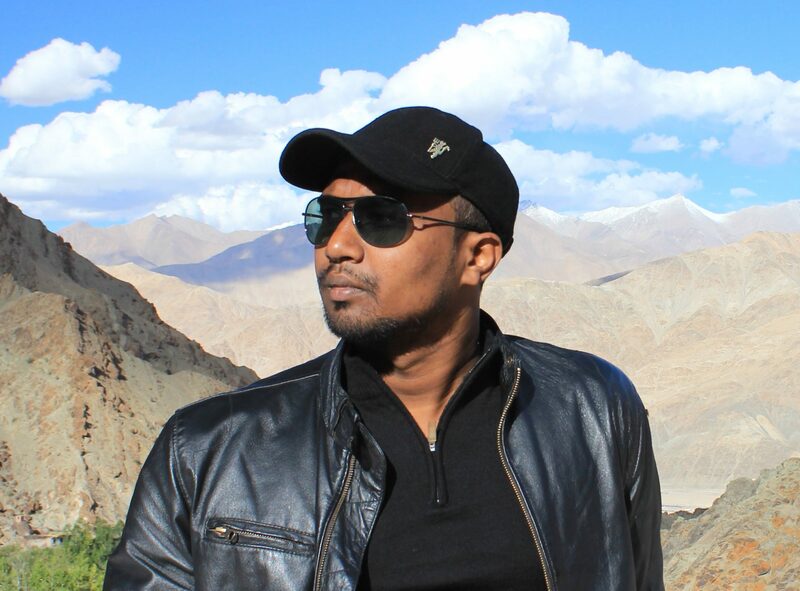 The light and sound presents the life and struggles of King Ashok and the Kalinga war which led to his transformation from Chandasoka to Dharamasoka. The narrations are accompanied by beautiful paintings and 3D projections. The entry fee is kept at a nominal rate of Rs. 25 per person. Nearest Railway Station from Shanti Stupa of Dhauligiri is Bhubaneswar railway station which is at a distance of 12 kms from Dhauligiri. Nearest Airport from Shanti Stupas of Dhauliri is Bhubaneswar and it is 12 Km from airport. By road: It is at a distance of 18 Km from Bhubaneswar on the Puri-Jagannath Highway. There are no good hotels or lodges to stay at Dhauli. The nearest and the best staying options can be found in the Bhubaneshwar only . You can book any of the hotels or resorts as per your budget.